I was born in a log cabin on Fish Creek, near Uncle “Nick” (E. N.) Wilson’s home. I knew him and his son, George, was my childhood play mate. My father was Selar Sylvester Cheney, a son of Selar Cheney who was a son of Elam, whose Father, Aaron Cheney, joined the L.D.S. [Church of Jesus Christ of Latter-day Saints] Church in New York in 1831. My mother was Edith Vivian Nethercott; she was born 28 April 1885 in Corning, Tehema Co., California. Her father was Alfred Nethercott, born 20 March 1856 in Salt Lake City, Utah. 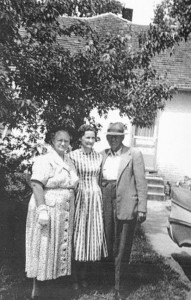 Alfred Nethercott’s father, Alfred Alexander Nethercott, his mother Charlotte Pearce and his grandparents, James Nethercott and Rachel James, were from England. They lived in Utah and Calif., and later Alfred Alexander, his wife, Charlotte and Alfred Nethercott, his wife, Ida Ann Thompson and children went to Wyoming about 1900. 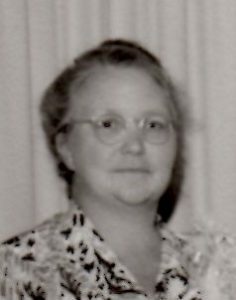 My mother’s mother was Ida Ann Thompson – born at Trenton, Grundy Co., Missouri. The family went to California when my grandmother was a child. John Alexander Campbell Thompson and his wife, Amanda Caroline Williams – parents of Ida Ann Thompson. My father went to “the Jackson’s Hole” country with his parents and grandparents when he was 9 years old. Gr. 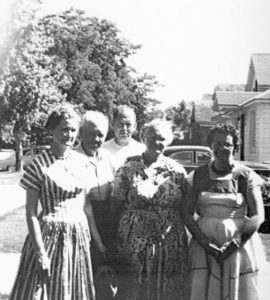 grandmother, Mary Wood Wilson and Aunt “Tillie” Matilda, wife of uncle “Nick” Wilson, were the first white women to live up there in that new country. The Wilson’s and Cheney’s took up homesteads. My uncle, Howard Cheney, was the first white boy born in the “Jackson’s Hole” country. At the time, this was Indian country. I attended school at Wilson, Wyoming, Jackson, Wyoming and a very short time “Cheney, Wyoming” and Rexburg, Idaho. My grandfather, Selar Cheney, had a Post Office in his home. It was known as the Cheney Post Office. This was about 7 miles south of Jackson known also as South Park – this section south of Jackson, Wyoming. 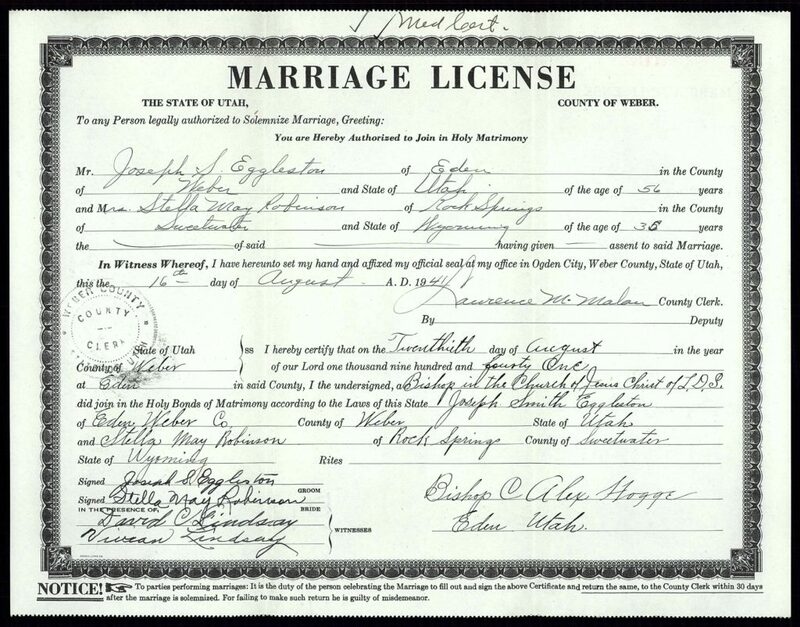 I married Orin LeGrand Robinson 20 October 1924 at Rexburg, Madison Co., Idaho. He was a widower, with a son, Milton, a daughter, Phyllis and a son Weldon. We lived at Rock Springs, Sweet Water County, Wyoming for 17 years. Mr. Robinson was employed by the U.S. Department of Interior as a trapper and field agent. We were the parents of 4 children, Lorin LeGrand, Lawrence Dell, Edith Estella and Lee Cheney Robinson. We were divorced in May, 1941. Mr. Robinson re-married on May 27, 1941 at Manila, Utah. Our home in Rock Springs, Wyoming 333 “P” Street was destroyed by a gas explosion, Feb 1941. The children and I rented until school was out in May and then we moved to Logan, Cache County, Utah. The home at 354 West 2nd South, Logan, Utah was a beautiful brick home. It had been previously purchased for us, but we had not seen it until the day we moved there from Rock Springs, Wyoming. The boys went to Wyoming to spend the summer on the ranch at Bondurant, and to visit with my parents at Wilson, Wyoming. (Their father had the ranch there). We spent our summers there but during most of the time we lived in Rock Springs, Wyoming. Edith, my daughter, and I came to Eden, Weber Co., Utah to work for Uncle Joseph Smith Eggleston. He was a widower. His wife, my Aunt Cuma, had died November 1941. She was my father’s sister. There were 5 of his children home and a grandson. 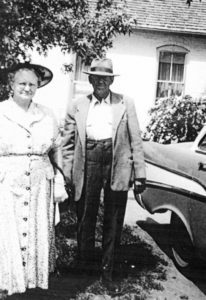 Mr. Eggleston and I decided we would make one home instead of two so we were married 20 August, 1941 at Eden, Weber Co., Utah by Bishop C. Alex Hogge. I sold my home in Logan and paid off his mortgage. We have spent 20 years of happy married life together, and hope that we will have many more. While in Rock Springs, Wyoming, I worked in the Primary and Relief Society. Since I have been in Eden, I have been a Primary teacher and Primary Counselor. Fifteen years were spent as Counselor in the Relief Society under three Presidents. Also served twelve years as Ward Genealogy Secretary. At present I teach a Sunday School class, a Primary class and am a Relief Society Visiting teacher, the latter position I have done for many years. Stella was my Grandma – the only Grandma Eggleston that I knew. I remember as a child visiting her and Grandpa at the farm in Eden. The large kitchen was Stella’s domain. I remember the old coal stove which she still used, even though she had a more modern one. She made butter with the fresh milk from their cows. She had a nice garden and many bottles of canned food. We had some Family Reunions and gatherings at the house and one I remember at a nearby park in 1962. Stella was very good with her hands and made some beautiful things. 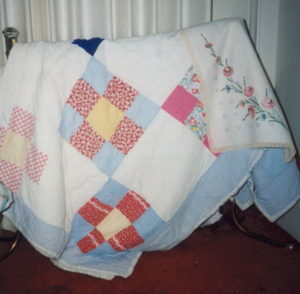 We had a number of quilts that she made, including this one that I used on my bed for many years. I have some things she embroidered including this table runner in the photo with the quilt. After Grandpa died, Stella sold the farm and moved to another house in Eden. She lived there alone for many years. We continued to visit her occasionally. I especially remember the visits on Memorial Day. We would also stop at her house when we went up to the Eden Cemetery. As Stella’s health declined in her later years, she eventually went to the Weber Memorial Care Center in Roy. I remember visiting her there, particularly one visit at Christmas time. She was always pleasant and glad to see us. 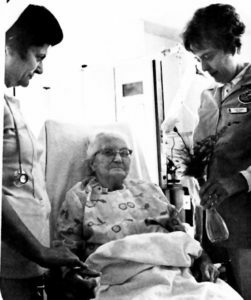 Stella passed away on July 12, 1982 at the Weber Memorial Care Center in Roy. Her funeral was held in the Larkin Valley Chapel which used to be the Eden Ward building where she attended church for years. It was the same building where Grandpa’s funeral was held many years before. I particularly remember the Relief Society Sisters who served us a wonderful meal after the service and had many nice things to say about Stella. Stella was buried in the Eden Meadow View Cemetery next to Grandpa. 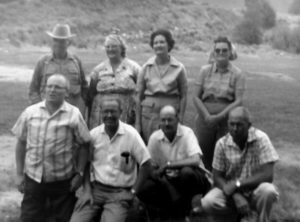 This entry was posted in Biographies, Joe & Cuma family and tagged Cheney, Eggleston, Utah, Wyoming. Bookmark the permalink.